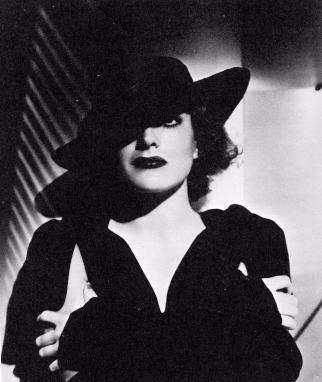 For almost 50 years, Joan Crawford reigned as one of the great stars of the silver screen, evolving from a free-spirited flapper in her movies of the 1920s into an all-American working girl of the Great Depression, before eventually playing cool, driven, independent women with troublesome passions and neuroses concealed beneath a classy, well-coiffed exterior in numerous melodramas and film noir classics of the 1940s. Though her career declined with the studio system itself in the 1950s, Crawford soldiered on in her chosen profession, bringing a touch of old Hollywood glamour to the industry in an era that was no longer worthy of her. 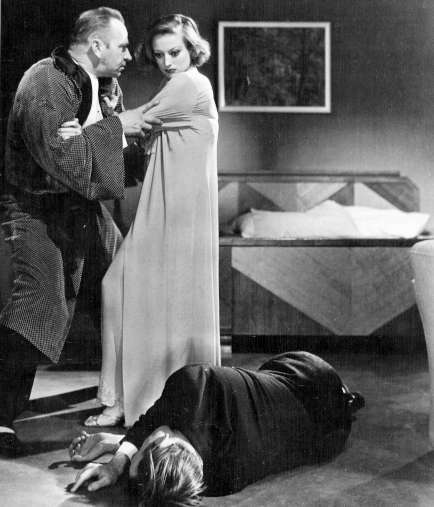 Crawford with Wallace Berry in GRAND HOTEL, the Oscar-winning Best Picture of 1932 whose all-star cast included the likes of Greta Garbo, John Barrymore, Lionel Barrymore and Jean Hersholt. 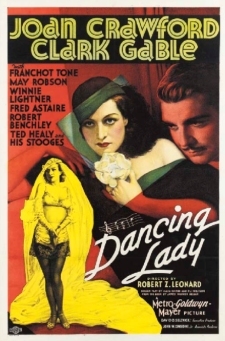 A poster from DANCING LADY (1933), one of eight feature films co-starring Crawford and Clark Gable (though the only musical they made together), and a film which also features the Three Stooges and Fred Astaire in his film debut. 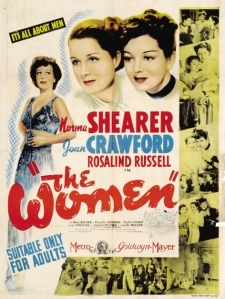 In a promising promotion up the star ladder at her home studio of MGM, Crawford was given a plumb role and second billing behind the lot's reigning grande dame Norma Shearer in George Cukor's THE WOMEN (1939), also featuring Rosalind Russell, Paulette Goddard, Joan Fontaine, Mary Boland, Lucille Watson, Marjorie Main and Ruth Hussey. "And by the way, there's a name for you ladies, but it isn't used in high society (outside of a kennel)." --as Crystal Allen in THE WOMEN (1939). "Say, can you beat him? He almost stood me up for his wife." --as Crystal Allen in THE WOMEN (1939). "Can the sob stuff, Mrs. Haynes. You noble wives and mothers bore the brains out of me. I bet you bore your husbands too." --as Crystal Allen in THE WOMEN (1939). "When anything I wear doesn't please Steven, I take it off." --as Crystal Allen in THE WOMEN (1939).